Dental Equipment Market is used in the diagnosis and treatment of dental conditions such as periodontal disease, dental caries, and dental deformities. Most commonly used dental equipment include dental probes, dental mirrors, dental burs, and dental drills. Dental equipment is also used to extract the tissues and the teeth. These equipment are used by only the skilled dental professionals and dental practitioners. Increase in the prevalence of dental caries and dental deformity cases, a rise in demand form cosmetic dentistry, growing number of dental practitioners and clinics, and cost-effective of the dental implants propelling the dental equipment Market. Moreover, a rise in the global geriatric population, technological advancements in the dental treatment, increase in the prevalence of dental diseases due to high consumption of tobacco, and rising in the dental tourism in developing countries might fuel the dental equipment market over the forecast period. However, product recalls, unfavourable reimbursement policies, stringent regulatory policies, and high cost for the dental surgeries are anticipated to hinder the growth of dental equipment market over the forecast period. Dental Equipment Market is growing at a significant CAGR owing to the availability of the skilled dental practitioners and clinics. Increase in the prevalence of various dental diseases due to high consumption of tobacco and alcohol, and rising dental cavities (according to WHO, 60-90% of children and more than 90% of adults are suffering from dental cavities) are anticipated to upsurge in the dental equipment market. Acquisitions and mergers, collaborations, product approvals, and product launches are some key strategies followed by the companies to increase their revenue in the dental equipment market. For instance, in March 2017, Solvay has entered into medical equipment business line by launching Solvay Dental 360 used to replace metal in the removed partial dental frames. In addition, in April 2017, Zimmer Biomet Holdings, Inc. collaborated with NovaBone Products, LLC for the distribution of NovaBone dental putty in more than 40 countries. Geographically, Dental Equipment Market is segmented into the North America, Asia Pacific, Europe, Latin America, and Middle East& Africa. North America holds a lucrative share in the dental equipment market owing to increase in the demand for cosmetic dentistry, availability of skilled dentists, increase in the prevalence of dental diseases, government initializations for funding, and high awareness about the dental equipment in the region. Europe market is growing at the significant rate due to increase in government expenditure on healthcare, favourable reimbursement scenario, a rise in geriatric population, an increase in the demand for dental procedures in the region. Moreover, Asia Pacific market growth is attributed to increase in the prevalence of dental diseases due to consumption of tobacco and alcohol, rise in the medical tourism due to low cost of the treatment, increase in healthcare expenditure, and rise in the geriatric population in India, China, and Japan are expected to drive the dental equipment market. 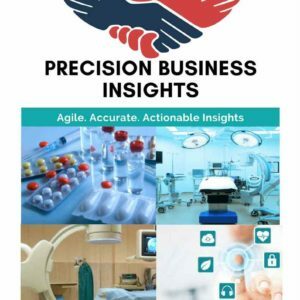 Some of the players in dental equipment market are Danaher Corporation (U.S.), Dentsply Sirona (U.S.), Planmeca Oy (Finland), Midmark Corporation (U.S.), Biolase, Inc. (U.S.), Zimmer Biomet Holdings, Inc. (U.S.), Aster Labs, Inc. (U.S.), Knight Dental Group (U.S.), and Solvay (Belgium) to name a few.